A couple of months ago, several photographs were circulated on various social media concerning a Perodua Axia owner who was involved in an accident caused by his steering that suddenly ‘locked’ and could not be turned while he was driving in the rain, resulting in a crash. 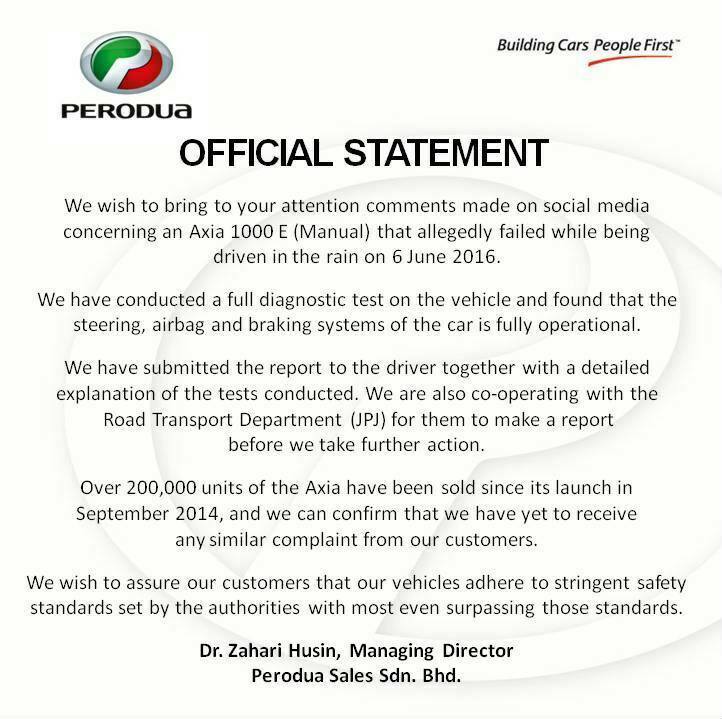 It has come to Perodua’s attention that this issue continues to rise concerns among netizens who are concerned about the vehicle’s reliability despite the company having issued a press statement below to clarify the matter. Today, Perodua’s Sales Sdn Bhd Managing Director, Dato’ Dr. Zahari Husin issued another official statement denying all allegations on the Perodua Axia’s ‘steering lock’ issue adding that all Perodua vehicles will have to undergo safety procedures and tests set by both their quality control mechanism as well as by government agencies before being handed over to their owners. 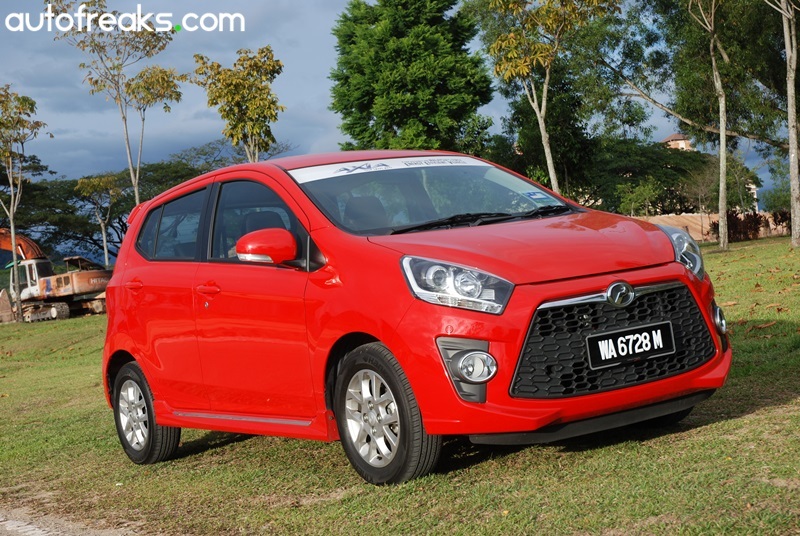 It has come to our attention that there have been allegations on social media regarding a steering lock issue with our Perodua Axia. We wish to assure our customers that the allegations on this issue are false as Perodua and several government agencies have conducted detailed investigations on the alleged cases. We regret that some quarters are actively attacking our brand and we are working with the authorities to identify those involved and we will consider appropriate action deemed fit. We assure our customers that all our vehicles have undergone strict safety procedures and tests set both by our own quality control mechanism as well as by government agencies such as SIRIM and the Road Transportation Department (JPJ). Perodua has always ensured that quality and safety are integral parts of all our products, services and processes as we place great value on the wellbeing of our customers and staff. We always welcome any feedback from our customers and have a dedicated team to solve any issues regarding our products and services, if any. Mitsubishi Triton Survives Borneo Safari Durability and Endurance Test!